The Eleventh Judicial District Commission on Judicial Performance recommends by a vote of 9-0 that Judge Norman C. Cooling BE RETAINED. Judge Cooling was appointed as the County Court Judge for Fremont County on February 14, 2007. Before his appointment, Judge Cooling served for twenty-one years as a Deputy District Attorney in the Eleventh Judicial District. Prior to that, he was in private practice for six months and clerked for the Oklahoma Court of Criminal Appeals’ presiding judge. He graduated from Augustana College in Rock Island, Illinois in 1977 with a Bachelor’s degree in political science and speech. Judge Cooling obtained his law degree from the Tulsa College of Law in 1985. He is a volunteer board member of a local non-profit organization. The Commission conducted a personal interview with Judge Cooling, reviewed opinions he authored, conducted courtroom observations and reviewed the survey results obtained from attorneys and non-attorneys. Among the survey questions was, “how strongly do you recommend that the Judge be retained in office, or not be retained in office?” Of attorneys responding to the survey, 68% recommended to retain, 19% recommended not to retain, and 13% made no recommendation regarding retention. Of non-attorneys responding to the survey, 81% recommended to retain, 12% recommended not to retain, and 7% made no recommendation regarding retention. 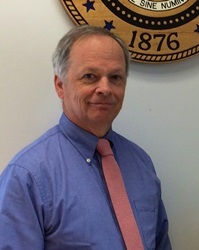 Judge Cooling received an overall combined average rating consistent with the average combined rating of all county court judges standing for retention in 2014. Judge Cooling received high marks for ensuring that all participants, particularly pro se parties, understand the court proceedings and for treating everyone with respect. Attorney respondents found Judge Cooling to be slightly biased toward the prosecution. Respondents said Judge Cooling displayed patience, compassion, and personal integrity.